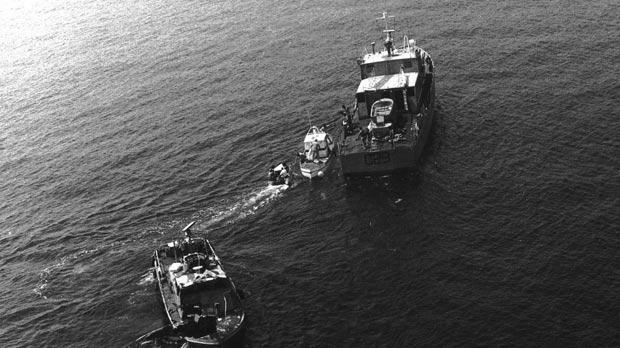 Thirty years ago, Armed Forces of Malta rescuers faced one of the hardest and most emotional operations: retrieving dead colleagues from the sea after a blast on a patrol boat carrying illegal fireworks. At the time, Carmel Vassallo, who would eventually become AFM commander, headed the helicopter flights’ section, now known as the air wing. 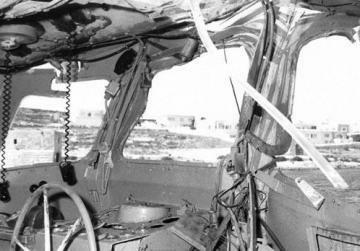 On September 7, 1984, he was the co-pilot of the helicopter deployed to retrieve the mangled bodies of the seven men who died in the explosion. Aboard the helicopter were also the Italian pilot and a Maltese rescuer who actually collected three of the bodies. “It was the biggest tragedy… having to rescue your colleagues is not nice at all. I remember the helicopter rescuer could not stop crying after we returned to base. They were his friends,” Brigadier Vassallo recalled. The accident happened when six soldiers, accompanied by two policemen, left the Maritime Battery for Comino aboard the patrol boat, the C23, to dispose of illegally-made fireworks at sea. It was meant to be a routine operation after the police had found the illegal fireworks in the limits of Żabbar the previous day. Yet, except for one soldier, none of them made it back. When the boat was two miles off Qala Point, in Gozo, there was an explosion. The cause was never established, although it is thought to have been a spark caused when a hatch was closed. The only survivor was Private Emmanuel Montesin, then 21. The victims were Bombardier Joseph Pace, 36, Bombardier Francis Borg, 36, Gunner William Simpson, 26, Private Anthony Farrugia, 27, Private Anthony Vella, 20, Police Sergeant Salvu Muscat, 30, and Police Constable Joseph Hare, 24. Brig. Vassallo recalled that the helicopter he was co-piloting retrieved the bodies of three of the men and another two were retrieved by a patrol boat. Two of the bodies were never found. The helicopter crew took the three bodies to Gozo hospital. That evening he and other officers were called back to the hospital to identify the bodies. Chris Agius was a sixth form student at the time and was a student worker based at the helicopter flights’ section. On the day of the tragedy he was at the base in Luqa with other students. “I remember how, all of a sudden, the radio went crazy. It was clear something big had happened,” he said, adding that they soon started hearing the terrible news about the explosion. “It was a horrible experience for everyone,” he said recalling that the students remained at the Luqa base longer than usual because they wanted to support the officers throughout those difficult hours. The accident shook the nation and the following day, September 8, was declared a day of national mourning. Since then, fireworks have no longer been carried on patrol boats. After the incident, the patrol boat was towed for repairs at the yacht yard in Manoel Island. It was later reinstated into service and given a new designation: P23. It is currently at the Maritime Squadron base in Haywharf waiting to be used as a monument for the victims, the AFM said. Five years ago, a stone and marble monument was inaugurated at Haywharf.